Get the lowdown on three snazzy mysteries series, written by contemporary authors set in the 1930’s. Even if you don’t know squat about the time period, you’ll still have a swell time reading them this summer. 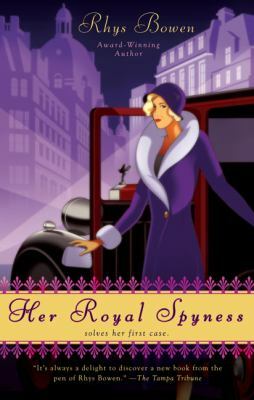 Rhys Bowen’s Royal Spyness series, set in 1930s London, features Lady Georgiana Rannoch. Thirty-fifth in line for the throne, but despite her royal connections suffers from a lack of funds, but not a lack of spirit. The supporting characters include her film star mother, possible spy and Georgie’s sometimes beau Darcy, and her cockney grandfather, all who have quirky charm. Although sometimes not the most historically accurate (her Romania in Royal Blood seems more drawn from depictions in Dracula films than the actual place), the books still are engaging and are a great Summer read. There are six books in the series so far and the latest book, Heirs and Graces is scheduled to be released at the beginning of August. 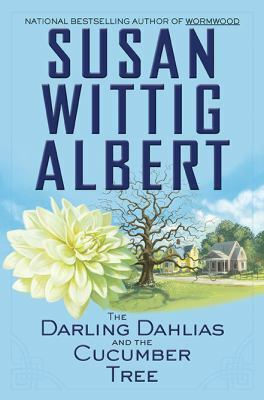 Susan Wittig Albert’s The Darling Dahlias series is also set during the tough time of the 1930s and features a spunky heroine, but has a totally different feel with their focus on a set of close friends who live in the Southern United States. The series title comes from a gardening club in Darling, Alabama that the central characters are members of. There are currently three books in the series: The Darling Dahlias and the Cucumber Tree, The Darling Dahlias and the Naked Ladies, and The Darling Dahlias and the Confederate Rose. The Darling Dahlias and the Texas Star is scheduled for the beginning of September and Whitting is currently working on The Darling Dahlias and the Silver Dollar Bush. Albert has clearly spent a great deal of effort researching the period and the reader will feel truly transported back in time. I am also a fan of Albert’s Victorian-Edwardian Mysteries series written with her husband under the pen name Robin Paige. The Marjorie McClelland Mysteries by Amy Patricia Meade are set in the mid 1930’s in Connecticut and star mystery writer, Marjorie McClelland. The series includes four books: Million Dollar Baby, Ghost of a Chance, Shadow Waltz, and Black Moonlight. 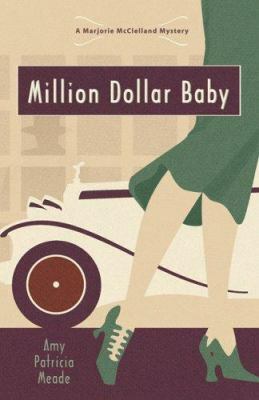 Million Dollar Baby features an intriguing mystery as well as witty banter between Marjorie and British aristocrat Creighton Ashcroft, who Marjorie finds both attractive and the insufferable. A local detective also catches Marjorie’s eye. Readers who enjoy a bit of romance with their mystery will enjoy Meade’s work and will be reading to learn the outcome of the love triangle as much as to learn the identity of the murderer.